The RSLIC-VoIP family operates to 100V which translates directly to the amount of ringing voltage supplied to the end subscriber. With the high operating voltage, subscriber loop lengths CAN be extended to 500 (i.e., 5,000 feet) and beyond. 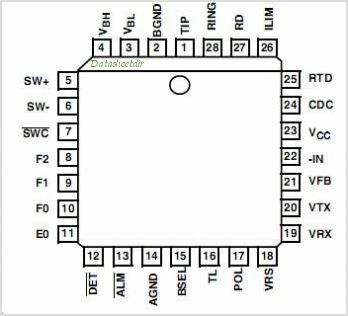 This is one package pinout of HC55185,If you need more pinouts please download HC55185's pdf datasheet. 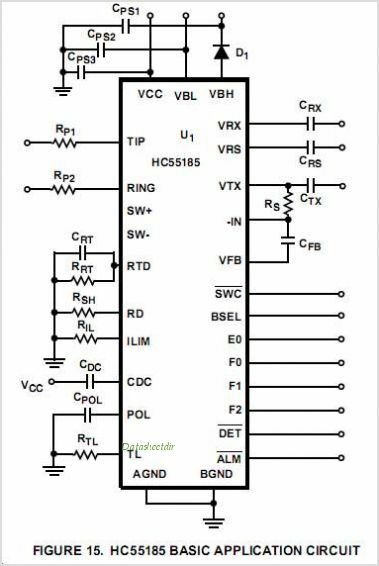 This is one application circuit of HC55185,If you need more circuits,please download HC55185's pdf datasheet.